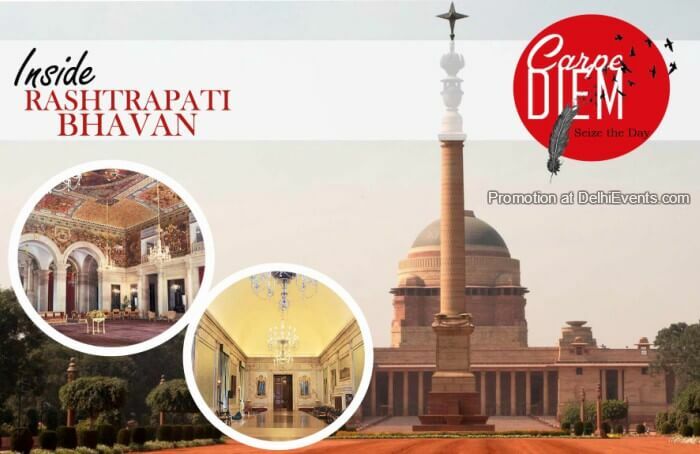 Event Description : WALK : Hands On presents "Women Special : Inside Rashtrapati Bhavan"
Experience a piece of Indian history as you walk down the haloed hallways of Rashtrapati Bhavan, the largest residence of any head of the state in the world. Share the vision of Lutyens as you see the towering Jaipur Column, imposing Durbar Hall, Persian-style Ashoka Hall, grand British-style drawing rooms. Also explore the newly set up Rashtrapati Bhavan Museum which showcases gifts received by successive Presidents.